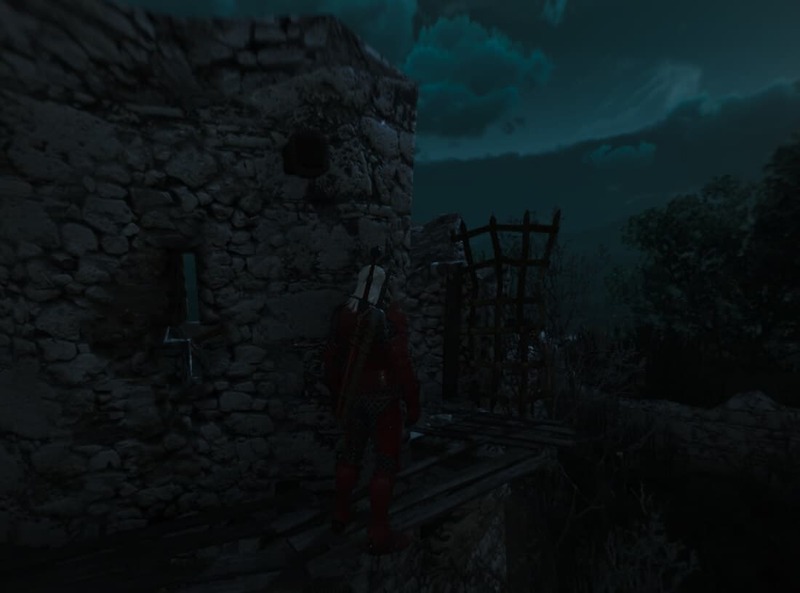 Unlike the four Grandmaster level upgrades for existing witcher gear, the Manticore is an entirely new set of witcher gear introduced in Blood & Wine. 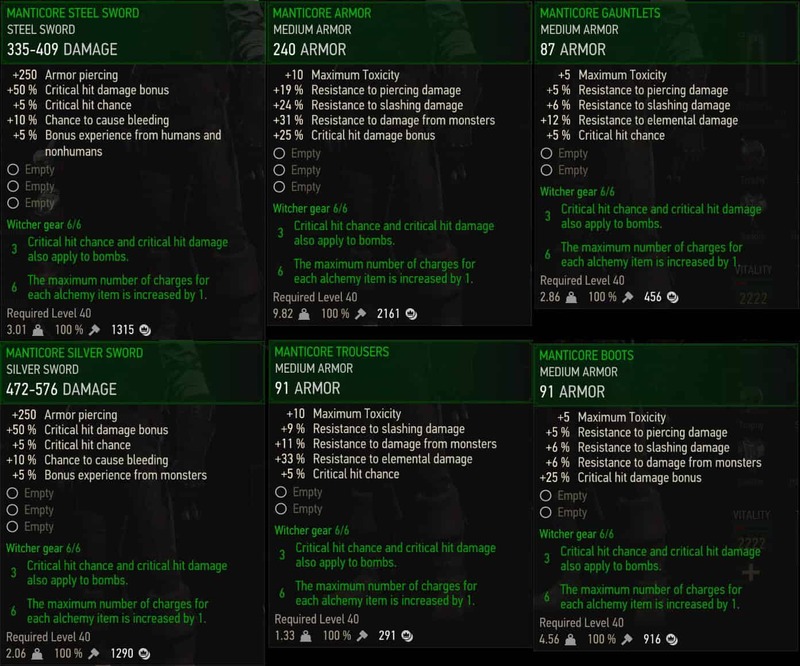 This level 40 medium armor set is themed around alchemy – it increases your maximum toxicity, and provides two set bonuses – critical hit chance and damage applying to bombs, and increasing the max charges of each alchemy item by 1. Considering the current strength of alchemy builds, Manticore is one of the best options for your end game set. 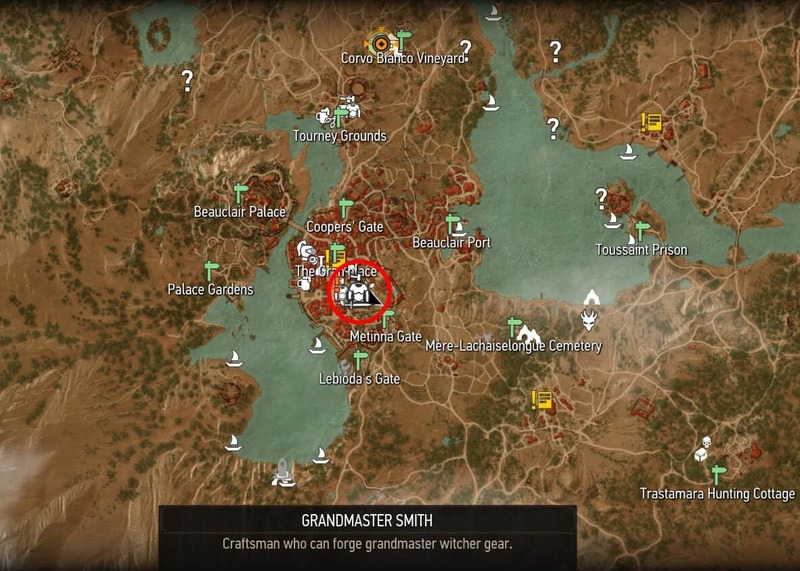 In order to find the diagrams for this set, start by talking to the Grandmaster Smith found in southern Beauclair – he will give you the starting locations for both the Grandmaster and Manticore set diagrams. Once you acquire all 6 pieces, you can return back to the Smith to get them crafted. Travel to the first location at the ruins of Bastoy prison; you will find the schematic inside the ruined tower. You’ll have to jump to reach the railing here. 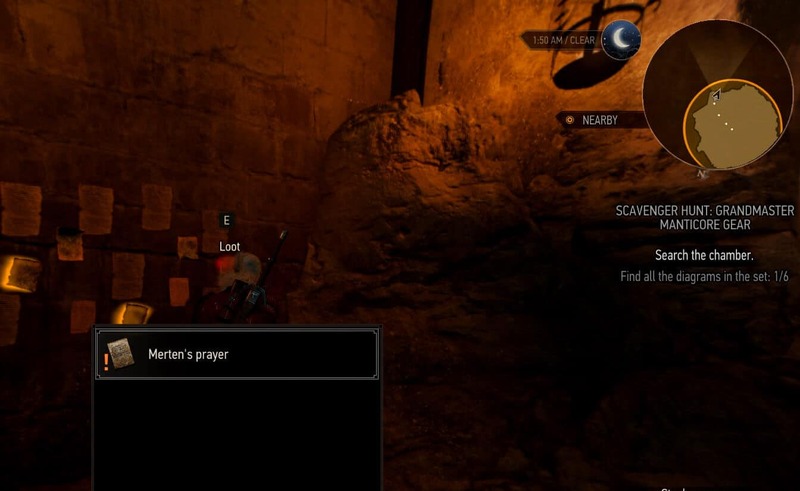 At the next location, read through the red notes on the walls until you find Merten’s Prayer and read it – this will both give you the Manticore chest diagram, and also point to the next location. 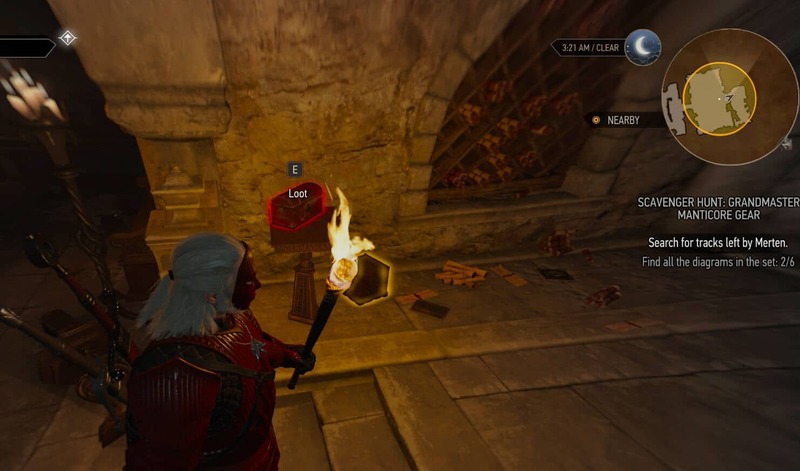 The next location is pretty straightforward – use Aard to break the weak wall at the back, and defeat the spirit. You’ll then find the boots & trousers diagrams in a small red box along with a note leading to the next diagram. 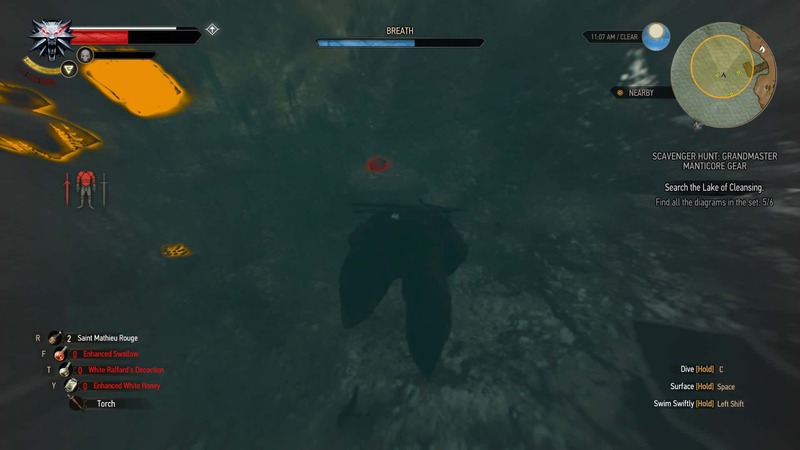 The next location is an underwater cave. If you get lost, just look for the jumpable ledges to progress further inside. 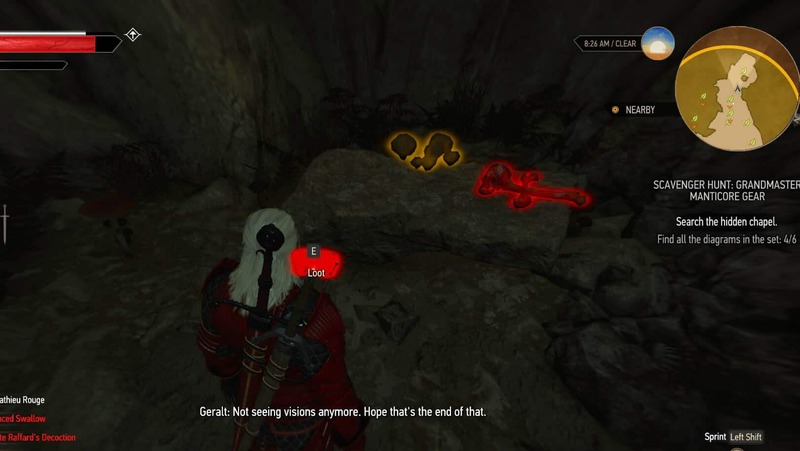 After completing the trials, you’ll find the schematic behind the ghost at the end of the cave. Read the notes that came with it to unlock the final location. 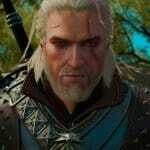 Finally you’ll travel to the far-way Lake of Cleansing – the gauntlets diagram will be on the bottom of the lake. Now you can go back to the Smith and craft your shiny new set. Although if we’re being honest it looks a little plain, especially compared to the Grandmaster stuff.